Eco-warrior Liu Futang was found guilty yesterday by a local court in the southern province of Hainan for illegally profiting from self-published books that exposed pollution scandals, most of which he gave away or sent to friends, officials and fellow activists. It was the latest case of mainland officials trying to muffle a dissident environmentalist. Liu, 65, was sentenced to three years in prison, but given a full reprieve, and fined 17,000 yuan (HK$21,000). He is thought to have struck a plea deal to avoid imprisonment. "Liu returned home this evening and he’s still in poor health," said lawyer Zhou Ze, a friend of Liu who attended his hearing in October but could not make yesterday’s sentencing. Liu’s friends expected the veteran environmentalist to waive his right to appeal. Feng Yongfeng, founder of the Beijing-based Green Beagle environmental group, said police in Haikou, Hainan, told him last month Liu had reached an agreement with the court as a condition for his release from custody. The conviction and plea deal will effectively silence the vocal activist, who has repeatedly revealed environmental degradation caused by government-backed projects in Hainan. Liu Jianqiang, an environmentalist and writer, called the conviction "an absolute retaliation", as well as the "suppression of an environmental dissident who tarnished the local government’s political achievements by simply revealing the truth". Lawyer Zhou said: "The verdict was completely groundless, but the court also reached a compromise amid mounting public pressure." 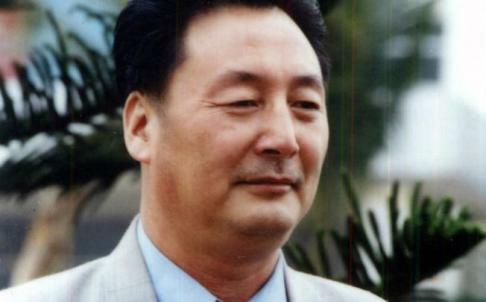 The trial of Liu, who was detained in July, sparked a national outcry. At least 26 mainland environmental NGOs and several hundred individuals submitted signed letters to the Haikou court calling for his release. "The Hainan government wanted to impose a much harsher punishment on Liu but never expected that Liu’s trial would spark such strong opposition from grass-roots environmental activists around the country," said Feng. Police spent considerable time gathering proof for Liu’s trial and also targeted his supporters, according to Feng. Internet censors also pulled online comments about the case. "Considering everything that happened, this is the best result we can get," Feng said. Liu, a retired forestry official and former government adviser in Hainan, has dedicated himself during the past decade to fighting reckless economic development and the property boom in Hainan. His work won him several environmental awards and a reputation as an "eco-warrior".